Homecraft® Inc., your go-to source in home improvement services in Woodbury Heights NJ, is happy to install only the most respected brand name materials and exceptional customer service at affordable prices. We offer our services throughout Delaware, Maryland, New Jersey, and Pennsylvania with roofing, siding, replacement windows, doors, and gutters that feature excellent quality and value. Our team can apply our skills to create a beautiful and spacious sunroom enclosure to help you enjoy outdoor living in the comfort of your own home. Woodbury Heights homeowners get the widest selection and highest quality when they select Homecraft® vinyl replacement windows, or Andersen® wood replacement window. Not only do you enjoy superior performance, guaranteed energy savings, and many years of reliable service from your new windows. Windows can boost the appearance of your home while cutting back on monthly energy usage and costs. Our process is easy: browse through our inventory to choose the traditional look of cedar shake siding ideal for frame-built or Cape Cod homes, or vinyl siding for a modern, sleek look that doesn’t take much upkeep. Unlike lots of other siding contractors who claim to give you options, we clearly do. With a wide variety of siding materials, textures, styles and colors at your disposal, we give you the best value! Offering you high quality roofing systems, backed by the industry-leading “Golden Pledge™” warranty protection, will allow you to rest easy under a Homecraft® roof. Our contractors are highly trained in the best installation techniques and materials, meaning your roof will last for decades to come. Did you know we are GAF MasterElite™ roofing contractors? We are proud of that fact. 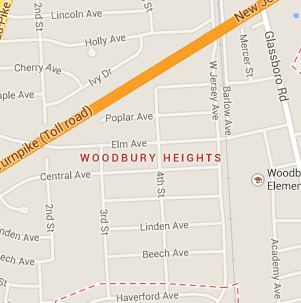 FREE Estimates on Woodbury Heights Home Improvement, Windows, Doors, Siding or Roofing. Call Homecraft®, Inc., today at 1-877-494-0377 to schedule a FREE in-home consultation and estimate for your Woodbury Heights home improvement project, roofing, siding, replacement windows, doors, or gutters.